So come one, come all, and come and lay down expectations and the critical voices in your head and write safe and welcome. And if you’re going to be at the Allume Conference? I’d LOVE to meet you in person. We’re hosting a Five Minute Friday meetup again this year – details all over here. Ordinary is the lie we tell ourselves when we look in the mirror and say the girl looking back is no one special. It’s the false feeling that tries to overwhelm us when we’re standing in the corner at a conference and everyone else seems cooler. It’s the whisper of the enemy of our hearts when we get ready to offer what we’ve tucked away inside for so long. Don’t believe in ordinary, my friend. There’s no such thing. You are not ordinary. You are extraordinary. The God who spoke the stars into being knit together your soul. Chose the color of your eyes. Numbered the hairs on your head. Placed gifts within you like presents for the world to open with joy. And your life isn’t ordinary either. That’s the scent of something eternal in your laundry basket. Those handprints on the hallway walls are art and magic. Your waking, your sleeping, your dreaming in between—all of those are a wonder. Oh hon … You nailed it. I love you, Holley Gerth. YES. No such thing. Absolutely not. God creates glory and beauty and expresses Himself uniquely through each of our personalities and quirks and therefore–nope, ordinary doesn’t exist. I’m so thankful!!! Love this, Holley. Thank you. So thankful and grateful for your encouragement of God sized dreaming and believing in the gifts He has laid in our hearts. I’ve stared at your words on the pages; your books on my shelves; your art on my wall , I almost feel like I could slide over and have a cup of tea with you and hear you say these words out loud. Thank you for blessing. This post is lovely, just lovely. Can I say how much I appreciate this link-up? I know you’ve probably heard it before, but as a beginner just finding my way, this Five Minute Friday exercise stretches me in ways I need to be stretched. At the same time, it frees me to just be me. So, I’m grateful. And when I’m done writing and reading some of the other good truth being shared, I feel like bursting out in song. I don’t because my family are all asleep, but I’m singing on the inside! “Ordinary doesn’t exist… it’s only the word we use when we’ve forgotten miracle…” Oh yes, this!! And don’t I forget the miracle most days when I take on the burden of ordinary. Thank you so much Holley, for such loveliness here. I am so glad you joined this crazy, beautifully, zany and wonderfully EXTRA-ordinary community today. Love you. I don’t have a blog, but I’d like to give this a bash, so here goes. Ordinary. I don’t feel ordinary. I live an ‘ordinary’ life, with my 2 children and husband in a regular job, doing regular things. But I still have the blood of a princess running through my veins that prods me now and then to seek the frog to kiss or the helpless to rescue. I have the fairy crown and wings…and the wand. I still have the cowboy hat in my cupboard that allows me to dream of saddling up and riding out to a Great Adventure with my best friend. When I drive around town, I pretend I’m on a secret mission… Even if it is just to buy milk or pick up the kids. So no. I am not ordinary. Underneath this suburban mom and teacher exterior is an extraordinary dreamer who loves to create and do and go… If you’d just take the time to look. I have always loved a good adventure, and as a mom a lot of times I feel like I am not a very exciting character in my story. But then I remember, isn’t it just like God to use the people we would least expect to do something ordinary and turn it into something great? And to our kids, aren’t we one of the most important characters in THEIR story? Glad I came back to take a closer look at you today. I was a voracious reader, taking the time to read 2-3 books a weekend, but now it seems the only books that I manage to get to (and it takes me months to finish) are parenting books or books to improve my marriage… Or blogs like this one. The Princess in me is still there… But now she reads to her own little Princess, trying to share the magic of the worlds in childrens’ books with her. (And just as an aside, she seems to think her middle name is Princess, so it’s working! Haha) All I can say is that I am thankful that there are people like you and Lisa-Jo… God sure has blessed us ‘ordinary’ parents with a place to go where there are people who inspire and encourage. These blogs help me see past the exterior of a stretch marked, curvier, exhausted mommy and see the little seeds that are being planted each day in my children. Stay extra-ordinary, and keep adventuring! God Bless! I’ve just added mine! Ordinary sounds like a good plan for the weekend. I needed to read these words this morning. They have been an affirmation of what God has been working in me. Thank you for your words of encouragement and the reminder that God has not created me to be ordinary. Can God use ordinary people like me? Don’t I have to be someone different? Someone who stands out? Can God use an ordinary old man who can’t speak well to confront the ruler of the world and be His voice? Yes. His name was Moses. Can God use an ordinary young boy who couldn’t even carry the King’s armor to slay the giant enemy of God’s people? Yes. His name was David. Can God use an ordinary Jewish servant girl to miraculously carry the Son of God in her womb and bring forth the Savior of the world? Yes. Her name was Mary. Does God save by ruling and reigning from His magnificent extraordinary throne on high? No. He saves by becoming ordinary. By becoming like us. So that I can become like Him. Can God use an ordinary woman like me to change the world? An ordinary woman like me changing the world, one diaper change at a time. Ordinary – I feel that all day everyday. I feel like a walking stereotype on how I am living my life, the problems I encounter and the way in which I deal with them. It is only every now and then that I can reach somewhere deeper inside and see that glimmer of something more than ordinary. What sets me a part from the pack. What makes my happiness different. My struggles different. My life different. Perhaps even extraordinary. The challenge is what to do with that glimmer that surfaces at such surprising times. Like when I feel the cool refreshing air as I leave my gym. Or when I’m standing in line for a coffee with the sun shining through the window. Or when I’m snuggling my little boy before bed. What do we do with those glimmers? How do we hold on to them? How do we get them to surface more to help us feel extraordinary and real? Is it just believing more in yourself? Is it surrounding yourself with others who believe in you? Or is it meant to be just a passing feeling every now and then that grounds you and reminds you when you most need the reminder? Is there any such thing as a stereotype in God’s Kingdom? I loved all your questions in your post. I was left wondering what the answer to them was and all I could think of was…..I don’t know or All of the above? Holding on to those glimmers and moments, it seems like so often we notice them when they’re already in the rearview mirror. Oh, to be able to hold on to and grasp those fleeting moments that are the ones we would give anything to relive again. Such a great message and so important for women of all ages! Great post! 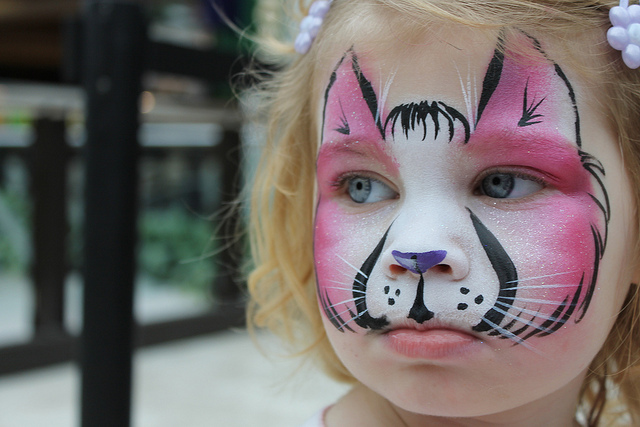 And great picture—our Anna loves face painting. I have been admiring this writing activity for some time and am excited to be jumping in today with my first 5 Minute Friday. Thanks for the inspiration! Interesting… I never thought of ordinary in this way. Thanks for this, Holly. Thanks for allowing Holly to post, LisaJo. I think the word “ordinary” should be stricken from the dictionary and our vocabulary! Ordinary… something I feel all the time. Like my life is on repeat of an ordinary movie that people have lost interest in long ago. Ordinary…. is it really the case…. My beautiful 4 year old daughter looks at me and sees me in a way that is far beyond ordinary. Her eyes light up no matter where we are in our ordinary life because everything to her is new and extraordinary! But yet I still feel like little old ordinary me. The walls of it surround me and I need to break free and realize my life and the life I have surrounding me is a miracle and when have we ever heard of an ordinary miracle! Yes!! Loved this so much!! Thank you for sharing your extra-ordinary wise words with us today! 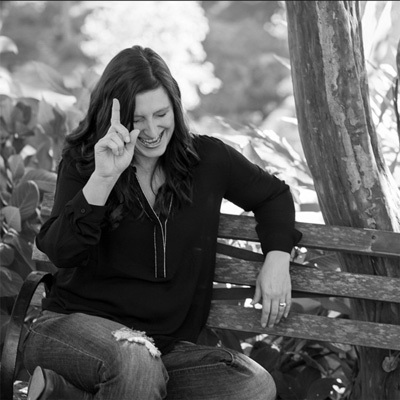 Holley – Thank you for always encouraging us to embrace the extraordinary life we have been offered! You are amazing! Thank you for this encouragement. So needed to hear this today! Lisa-Jo, I just needed this topic today. And Holley, just beautiful, sister. Thank you both. What beautiful words that my soul needs to hear today! Thank you. Kendra, I also enjoyed today’s words. In the morning till part of the afternoon, I had no internet connection in the house. There was a server problem and many areas were affected by it and I had to change the routine of my day. It began at 6:00 am with the cancel call of a job. Great! I thought God had a different planning for my day. I equipped myself with my laptop and books in bed for nothing because there was the server issue. Second change. A phone call helped me to align to a devotional day of prayers and praise. The house was silent. Only me. It was necessary to refresh and rethink about Holley and Baker’s writings on “Ordinary” in spite of the circumstances. We all must say thanks to all God’s messengers pointing another direction to this daily life. I was just being silly. I know I’m especial and unique to Him and favored by those I come in contact with. Ordinary is not my profile, Lord, and again I acted in my natural without seeing how much I have from and with You. Right now I am feeling less than ordinary. Even though the beauty of Ordinary did shine through for me =in those precious words….it didn’t seem to find a place inside of me. Not sure what brought this on so suddenly, but the glow has gone and the hole inside seemed wide open and ready to let anything get dumped in. ….even “junk I don’t want.” This happens when I get a pang about how time has gone by so quickly (from when my children where young….to now; as they are all grown) and on their own. Giving all of myself came easy. Now I look around and feel so alone. They did take off as that “kite” that I read about in a little poem. Unwind the spool of string…..let it out….little by little…..and there it goes flying high into the sky…completely snapped from the spool. The last line then says, “only then do you know that your job has been done!”. Yes, true, complete. Then why this empty heart? Not that I would go back and want to do it all over again. Perish that thought! No, just to be able to know for sure someone believes you are more than just ordinary and that what you poured into those little hearts, remains and will, perhaps come pouring down upon your lonely heart from time to time. Even older Moms need a cupful of plain old ordinary love to keep those “home fires” burning. This was so touching. I am so sorry that you are feeling that emptiness and loneliness. I know what you mean about finding it hard for words to sink in. Sometimes I really don’t need to know I am anything more than ordinary. It is almost a relief to know that being ordinary is alright, and that in spite of my ordinariness, God can still use me, because that is what God does, He uses ordinary people. What you have done in your life truly is spectacular. All those ordinary things you did for your children. Perhaps they do not realize it yet. I hope they do soon. I am just now after having several children finally appreciating all my mother went through for me. Finally understanding the depth of her sacrifice. And finally being able to forgive her for her shortcomings, realizing that I am falling just as short. You said it was easy for you to give of yourself like that for them. I really admire that. I find giving of myself to be extremely hard many days. But if you could give like that out of love and have it be easy, it just shows how full of love your heart is. We need bigger lovers like you in the world. And we need people who appreciate people like you. Your story really touched me today. To hear of a mother’s deep love for her children and hear of her missing them, it inspires me to love my children while they are still here with me, before they fly away. I pray that our Lord sends love your way to fill your emptiness you are feeling. It is through him where we are able to truly love, and through Him that we can truly be filled. May you feel His love not simply pouring down, but downpouring. ((((hugs)))) from a younger mom to an older mom. Thanks for the great prompt. I am a day late and dollar short but had to post on this one. Loved your post and picture. Thank you for doing this!! I came across it a few weeks ago and it has really got me writing again. My juices are flowing and I am loving having the starts of so many narratives. I am doing all the prompts from the newest to the oldest. Ordinary is a good place. If we all accepted ordinary, we would all be happier! Beautiful, Holley Gerth. “It’s only the word we use when we’ve forgotten the miracle…” Very nice. Hi! I just found your blog! This is absolutely wonderful! I can’t wait to join in! I am new to blogging. It’s been 7 weeks! I can not wait to write, connect, encourage and learn from all the many wonderful women out there! I may have questions about linking back and the technical stuff, but this is altogether lovely! Thank you! How interesting, because I would have approached ordinary completely upside-down from this! :) Just in time to write this week.